MONTREAL, Sept. 14, 2016 /CNW Telbec/ - His name is José. He's a dummy, literally. José is the mannequin or, more accurately, the high-fidelity, junior-patient simulator that mimics a wide range of conditions, from a healthy, talking child to an unresponsive, critical patient with no vital signs. 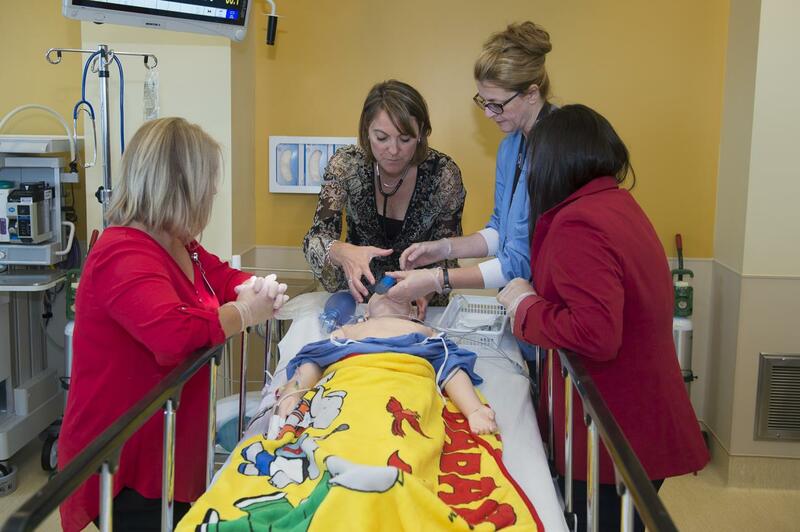 The patient simulator is just one of many training tools to be found in the newly opened Pediatric Simulation Centre located on the 2nd floor of Shriners Hospitals for Children® – Canada. It is changing the way health professionals are trained and will ultimately enhance quality of care and patient safety. The Centre delivers high-fidelity, realistic simulations for surgical, medical, nursing, respiratory therapy and allied health practitioners. It offers a safe, realistic environment, allowing health professionals and students to increase their knowledge, hone their skills, and practice teamwork in the context of realistic patient scenarios. The Pediatric Simulation Centre at Shriners Hospitals for Children – Canada is the only such centre in the Shriners' network of 22 hospitals. "Modern medical education requires novel teaching modalities. Medical simulation has become an integral part of any modern health care curriculum," says Reggie Hamdy, M.D., Chief of Staff, Shriners Hospital for Children – Canada. "Our goal is to promote excellence in pediatric health care in a family-centered environment by using medical simulation to improve the knowledge, skills, and behaviour of health professionals and establish a culture of continuous professional development. Our intent is to become no less than a nationally and internationally recognized centre of excellence in pediatric medical simulation." "The surgical skills laboratory is revolutionizing surgical training," says Jean A. Ouellet, M.D., Medical Director of the Pediatric Simulation Centre. "Using computer simulators and virtual reality technology, as well as specially designed procedure models, surgical residents learn a wide array of surgical skills. At the instructor's station, high-fidelity cameras film, record, and transmit the teacher's directives to the other five surgical stations where students replicate the teacher's moves. Surgeries can also be broadcast live from the OR and transmitted via secure server to the surgical skills lab and/or the two designated conference rooms. "The educational activities we are hosting and developing are based on the educational needs of our health professionals," says Dr. Ouellet. "We will ensure that we have faculty trained in medical simulation from all disciplines and specialties; including pediatric orthopaedics, pediatric surgery, anesthesia, nursing, and respiratory therapy. This, in turn, will improve the quality of patient care and patient safety in a family-centered environment." There is a growing demand for simulation-based activities to be integrated into the curriculum for residency training, maintenance of skills for current practitioners, nursing training and training in the use of new devices and surgical techniques. Many of the medical specialties have integrated simulation into their curriculum to teach residents. Schools of nursing have developed simulation education modules to teach their students and for professional development for those already in practice. This work will be encouraged through partnerships with McGill University and the Montreal Children's Hospital of the McGill University Health Centre. "Simulation plays an essential role on campus in McGill's new undergraduate medical curriculum, as well as in its other professional health programs," says Sam Benaroya, M.D., Associate Vice-Principal and Vice-Dean (Health Affairs), McGill University. "In an increasingly complex environment that is continually being enhanced by new knowledge pedagogy and technologies, simulation ensures students learn to deliver the highest quality, safest care in a setting that presents zero risk to the patient. Bringing simulation into the clinical setting represents a major step, and we look forward to working with Shriners Hospitals for Children – Canada and the Pediatric Simulation Centre to build on the educational opportunities it offers." 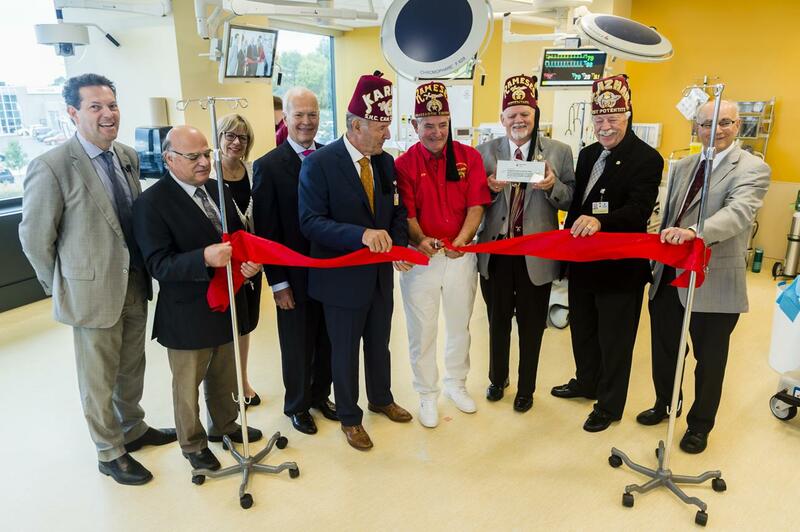 "This is a proud day for Shriners Hospitals for Children – Canada and the Shriners network. 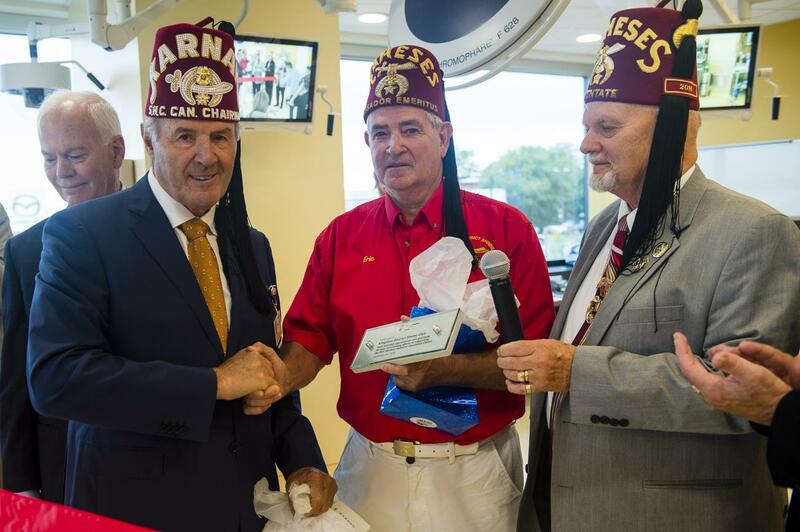 We are very grateful to the members of the Kingston District Shrine Club who are Rameses Shriners. They donated so generously to the Exceptional Care for Exceptional Kids Campaign in support of the construction of the Pediatric Simulation Centre," says Gino Berretta, Chairman of the Hospital's Board of Governors. "Thanks to their generosity, for years to come health professionals can practice medical emergencies and real life-saving procedures that improve safety and the patient experience." "I applaud everyone who worked so hard over the last five years to organize fundraisers in support of the Pediatric Simulation Centre," says Al Berry, Potentate of the Rameses Shriners of Toronto. "I would also like to sincerely thank the members of the Kingston Shrine Club and the late Wilhelmina F. Winney, and her late husband. Several years ago, Mrs. Winney donated a sizable portion of her estate to the club. I believe she would be proud, as we all are on this prestigious day, to know that she contributed greatly to the construction of the Pediatric Simulation Centre which will benefit health care professionals, patients, and their families for decades to come." 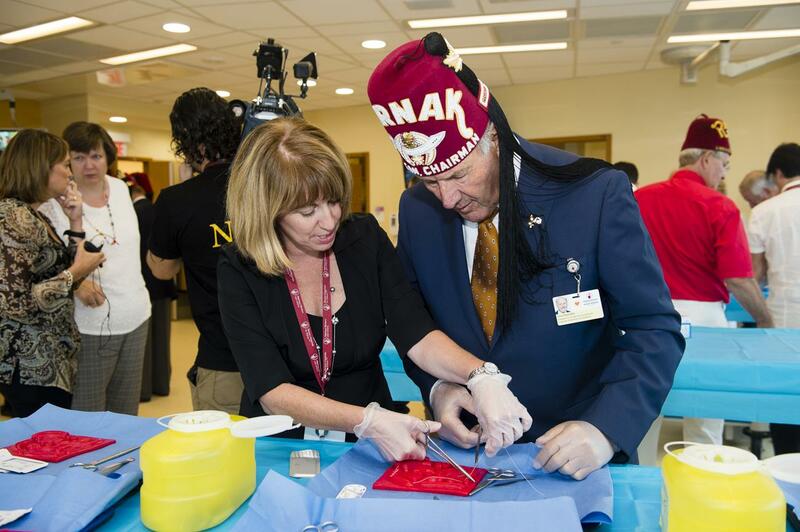 "The centre illustrates the dedication Shriners International attributes to its mission of training future generations of health professionals," says Brandt Bede, M.D., Hospital Liaison with the Board of Trustees, Shriners Hospitals for Children. "I congratulate everyone who helped realize the Pediatric Simulation Centre. It provides a safe environment where confidence and competence can be continuously enhanced and where the true beneficiaries will be the young patients in our care."